Note: 1. This adapter can be only used for 20+6pin Lenovo X1 Carbon Ultrabook SSD(old version) ,it is not upward compatible for 67Pin NGFF/M.2 SSD (new version), please kindly check it carefully before buying it. 3. No additional driver is needed. The physical size is smaller than 2.5" SATA HD. The physical size is smaller than 2.5" SATA HDD. 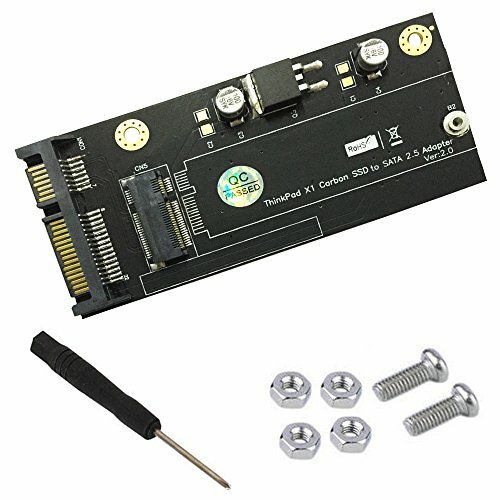 It can be used in laptops as a 2.5" SATA HDD.